Icon, engineer and metalsmith, self-taught designer and architect, manufacturer and teacher, Jean Prouvé was a key force in the evolution of 20th-century French design, combined bold elegance with economy of means and strong social conscience. 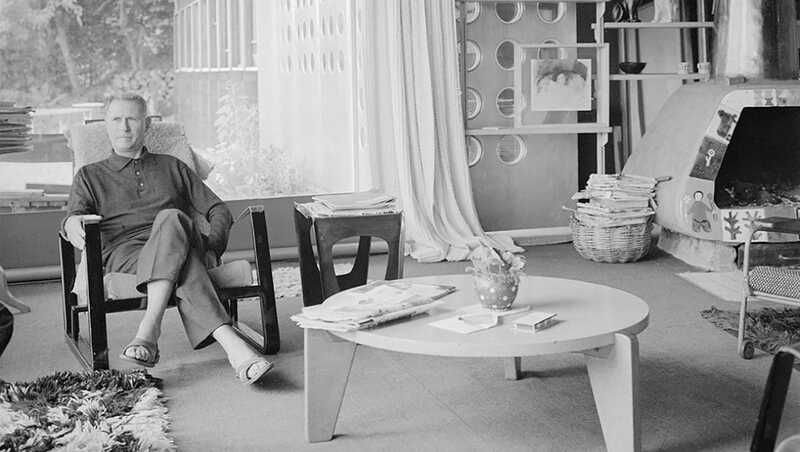 Jean Prouvé was born on 8th of April 1901 in Nancy, France, into a family of artists: Victor Prouvé, his father, was a painter and Marie Duhamel, his mother, a pianist. Prouvé trained as an artisan blacksmith and his intimate knowledge of metal remained the foundation of his work and career. Aware of the limitations of ornamental and wrought-iron work and keen to embrace the modern movement, he moved on to steel and aluminum, folding and arc-welding. 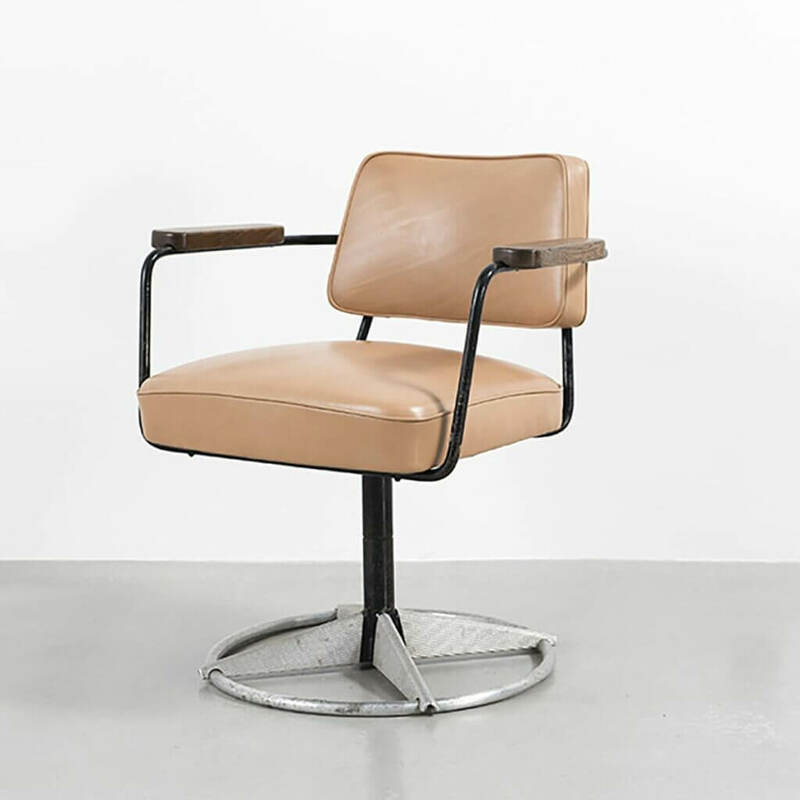 In 1924 he established the Atelier Jean Prouvé, where he began to produce light-weight metal furniture of his own design, as well as collaborating with some of the best-known designers of his time, including Le Corbusier and Charlotte Perriand. 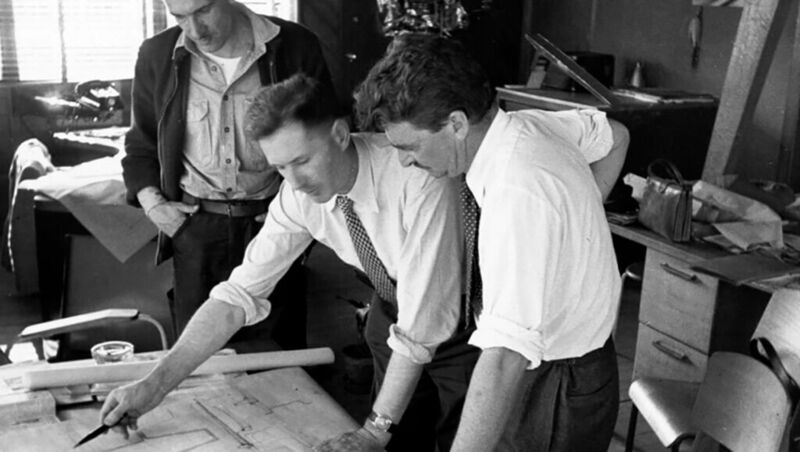 Furniture production became a core part of his business. He favored the public sector in the growing areas of health, education and administration, which reflected a social ideal but also offered the economies of scale. By 1936 he was producing a catalogue of standard models for hospitals, schools and offices. 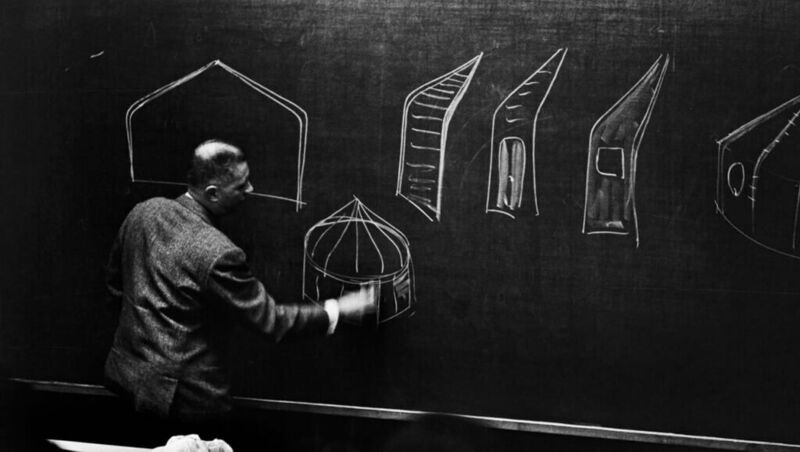 The potential for mass production inspired Prouvé to develop and patent industrial products using folded sheet metal for the construction of buildings. One of his the most famous furniture piece was created in 1934 – Standard Chair. This design exemplifies a fundamental aspect of Prouvé’s numerous furniture designs and architectural works: his unwavering focus on structural requirements. 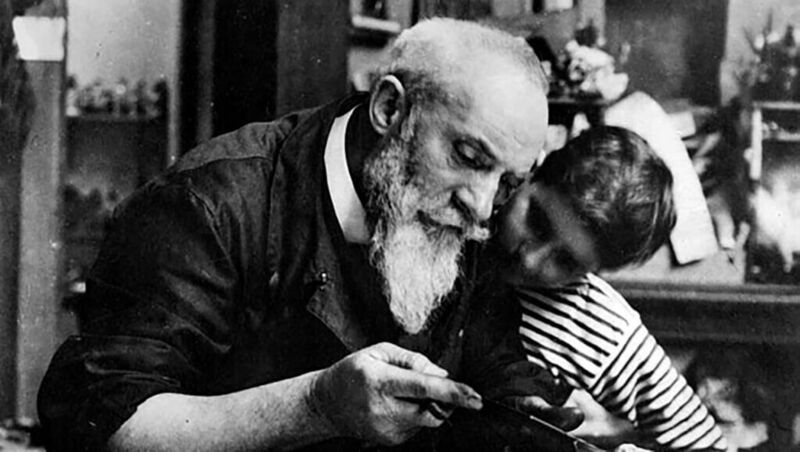 The onset of WWII and the age of austerity that followed marked a period of enforced experiment for Prouvé and in 1947 he moved his operations to Maxéville, just outside Nancy. With his own design studio, he could combine research, prototype development and production. At Maxéville he set about fulfilling his ambitious plan to alter the building process from a craft-based practice to that of a mechanized industry, producing not only houses, prefabricated huts, doors, windows, roof elements and façade panels but also a production line for furniture based on his own designs.It was in this creative environment that the prefabricated refugee houses of 1945 were developed, followed by the flat-packed, tropical houses for Niger and the Republic of Congo in 1949 and 1950. Due to disagreements with the majority shareholders, he left the company in 1953. During the ensuing decades, Prouvé served as a consulting engineer on a number of important architectural projects in Paris. 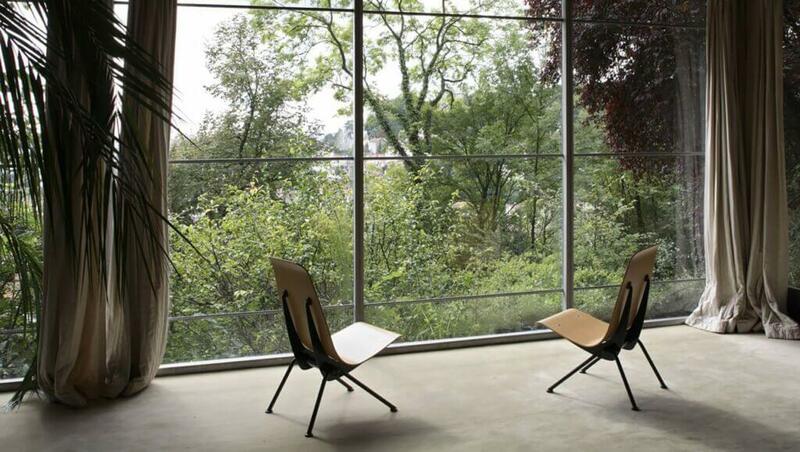 Jean Prouvé taught at the Conservatoire des Arts et Métiers in Paris, influencing generations of future architects – and yet he remained modest. “I was a worker doing his job,” he said about himself. In 1971, Prouvé was the president of the Jury for the design of the Centre Pompidou in Paris. Along with fellow jury member Philip Johnson, he played a very important role for the choice of the winning project by Richard Rogers and Renzo Piano, He died in Nancy, France in 1984. 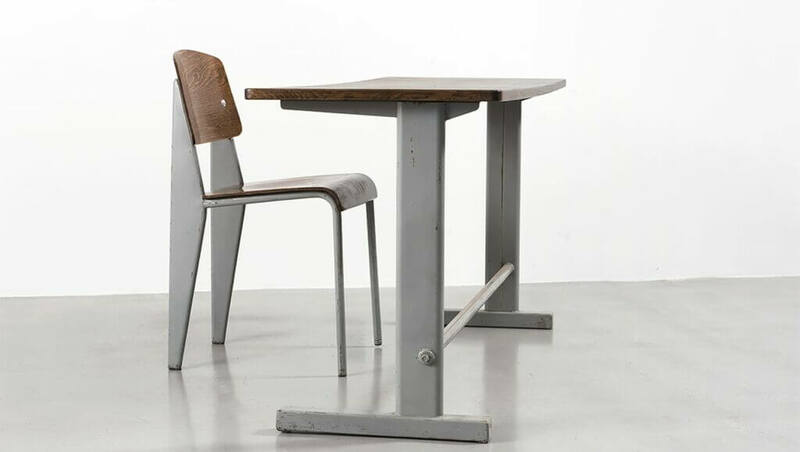 In the 1980s and 1990s Prouvé’s work fell out of fashion, but today it is again in vogue. 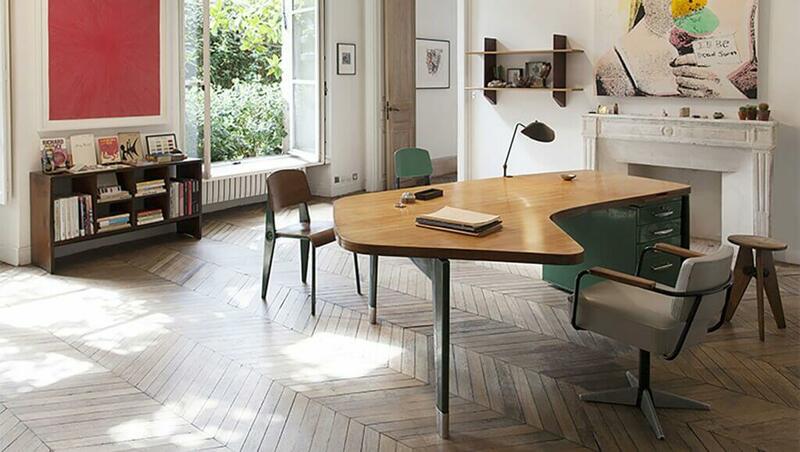 His chairs and tables, which could once be bought for barely a few hundred francs, are now traded for six-figure sums. Collectors such as Patrick Segiun combine his furniture skilfully with artworks by Alexander Calder, Andy Warhol and Richard Prince. 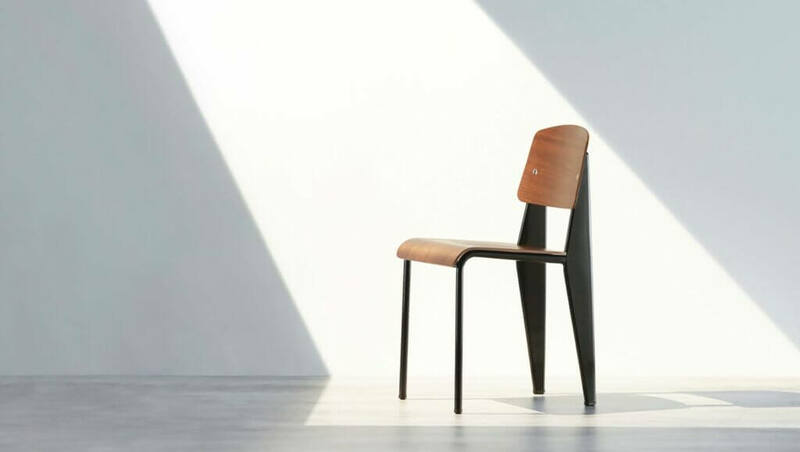 Design classics such as the Standard chair can be found in MoMA in New York and in Paris at Pompidou Centre.The architectural prototypes, once scorned in France, are now much sought after and change hands for millions. 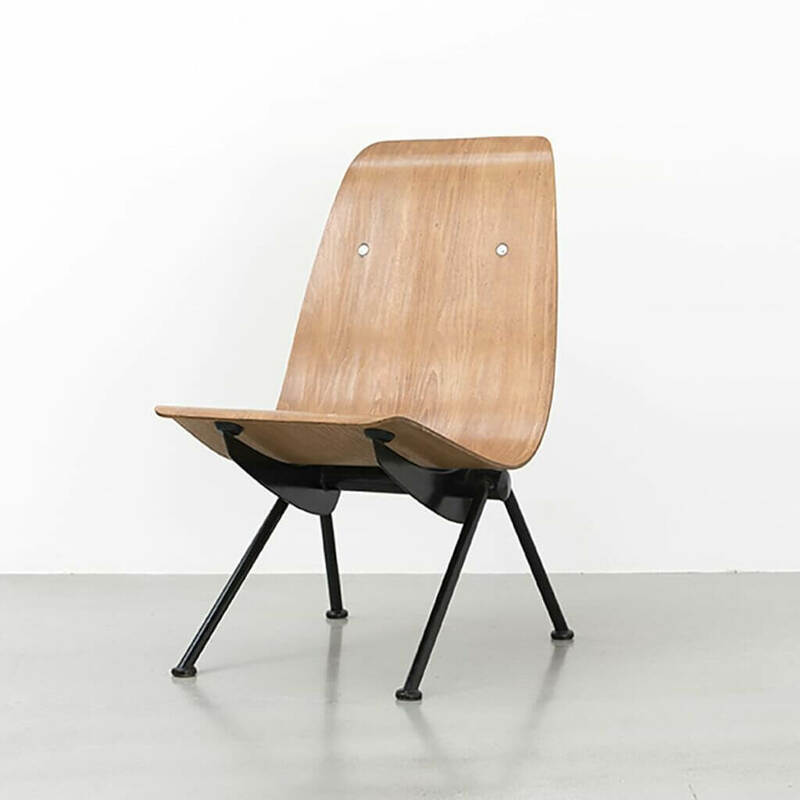 And since 2002,Vitra has re-issued selected items of Prouvé furniture – with great success.